Hi All! 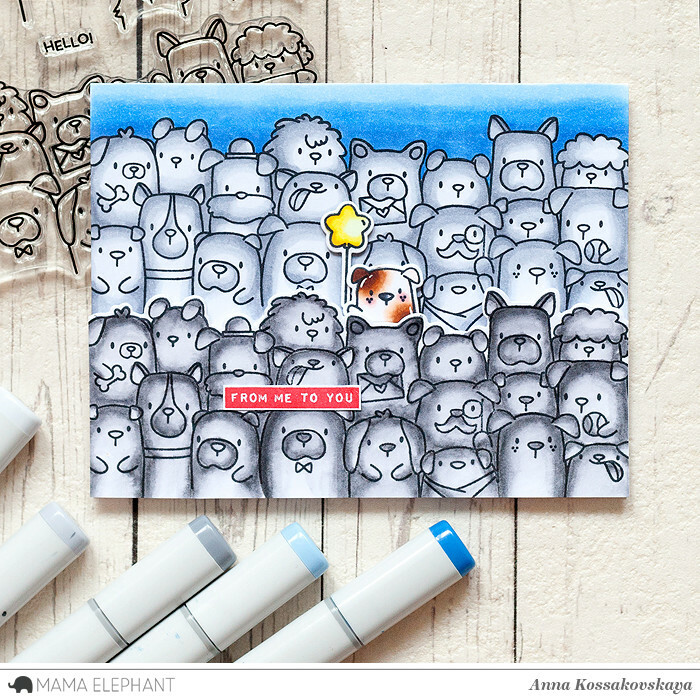 Welcome to day one of Stamp Highlights! 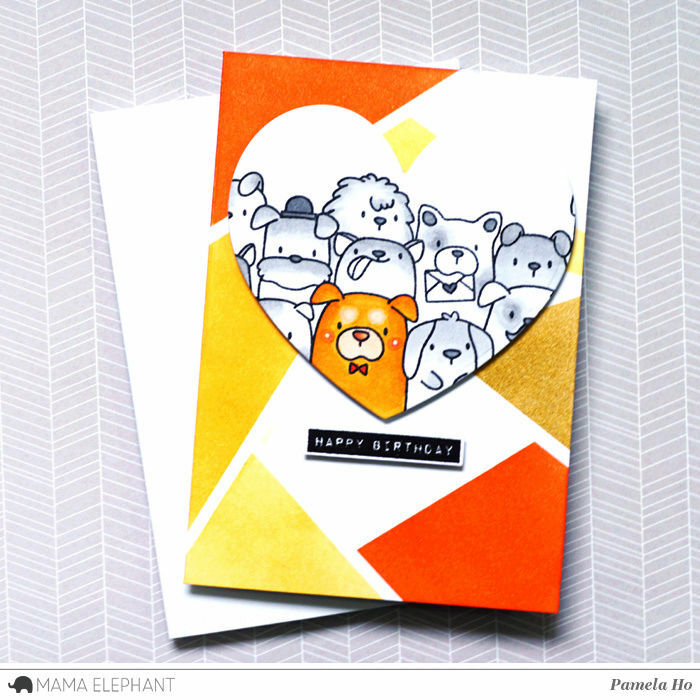 Each day, we will showcase some of our fabulous Design Team's projects with one of our new stamp sets! Today we are starting with The Dog's Woof and this one is just a riot! Anna did a great job with all the coloring on her card. And we really love how she highlighted one little dog in the crowd! 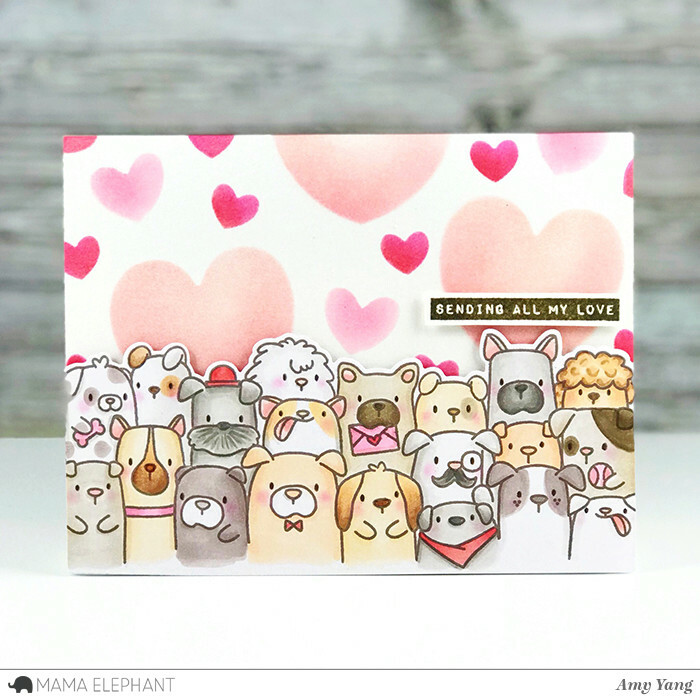 Amy's card is so adorable with the heart background! She ink blended the hearts with a stencil she made with various heart dies from our collection. 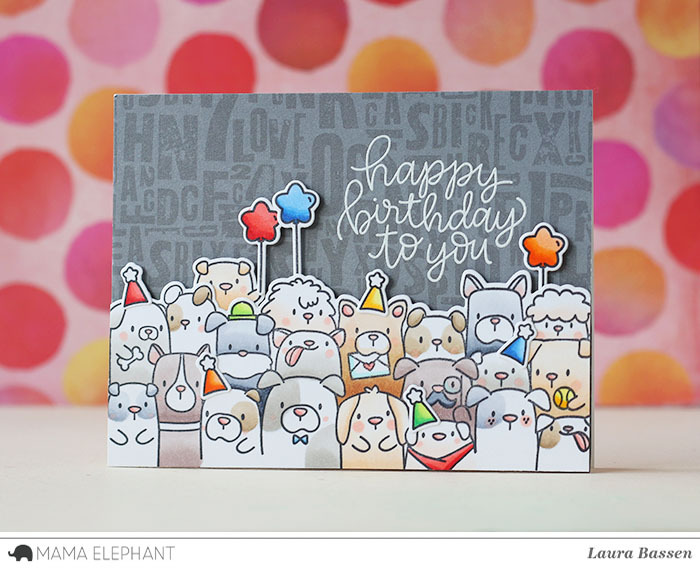 We adore Laura's colorful birthday crew using the Scripty Birthday set for the sentiment. This is one heck of a gang celebrating a special birthday! 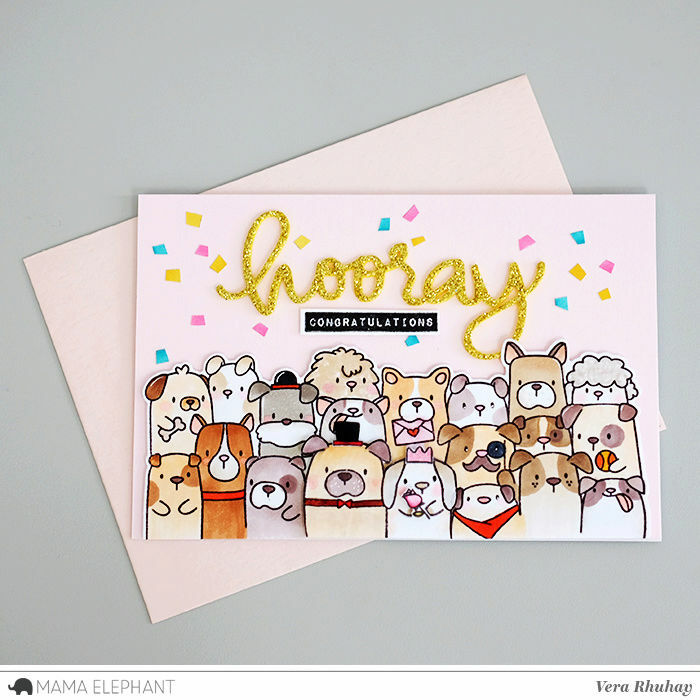 Vera made the sweetest wedding card combined with the Hooray Script creative cuts. 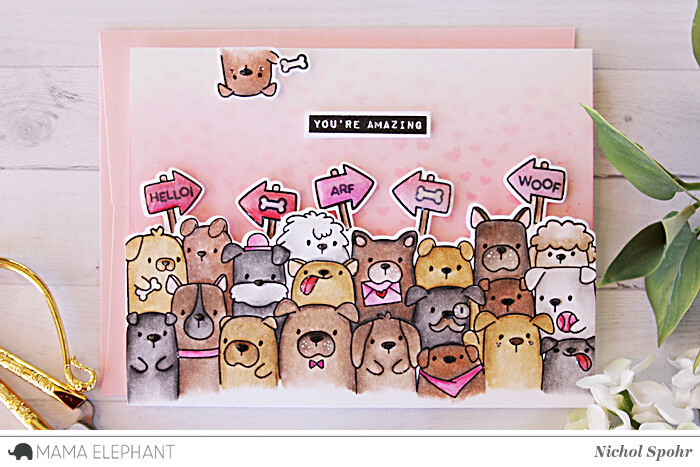 Nichol colored in this dog pack with Polychromos colored pencils and popped them up on an inked and stenciled background before adding a greeting from Occasional Labels. So very cute! Love these! best stamp set ever! I can't wait to get my hands on these! Adorable puppies! Love these cards & the creativity put into them! Sooo adorable!! A must have for a puppy mom like me!! The Dog's Woof is bound to be another favorite! Adorable! Awesome samples to show it off too! Oh yes. Each card is so cute and I love the look of this stamp set. I want this so bad. Great DT creations. So cute. I love these little doggies! Sooo many cute doggies !!! Looks like heaven to me ! Beautiful stamps. I would love to purchase this and give to my daughter who is a dog lover. She has 5 pet dogs.